Is there an optimal risk-benefit ratio for fish? How much omega-3 fatty acids should we get versus mercury? In commonly eaten fish, if there is any level of mercury where, for an adult [excluding women who are or may become pregnant], the potential risk will be greater than the potential benefit of omega-3s, I haven't seen any study that shows that.... If there is a theoretical limit at which potential harm from mercury might exceed omega-3s, it's probably far higher than what we're seeing now. The idea that you're going to eat a fish meal as an adult and that it's going to give you net cardiovascular harm is just not supported by the current evidence. I know you want to get to this idea of a balance of risk versus benefit. The evidence suggests that the balance is always toward net benefit. If there were a fish that had almost no omega-3s and had high mercury, then the benefit might be surpassed. But most fish that have mercury tend to be the larger ocean-going fish that also tend to be high in omega-3s. Still, you can consume too much mercury with ill effects. If you have high-mercury fish every day for months to years you may get neurologic symptoms. The simplest way to avoid that problem is to eat a variety of fish and seafood. Both our report in 2006 in JAMA and the Institute of Medicine report, which were completely independent and came out at the same time, came to the same conclusion: There's no consistent evidence right now for significant health effects from mercury in adults, and the simplest way to avoid concern is to eat a variety of fish. We went further and recommended, to be prudent, that people who eat fish five or more times a week should choose lower-mercury fish. For people who eat a few servings per week or less, don't eat the same fish every time, and then you won't have to worry about whether this one is a little bit higher in mercury or this one is a little bit lower. Just so we know, which fish are higher and which are lower in mercury? Shellfish are almost all low in mercury because they don't live very long and they're small: shrimp, lobster, crab, scallops. And shellfish have medium levels of omega-3s, similar to other medium-size fish. Salmon are also good. They're high in omega-3s and low in mercury because they're also short-lived. 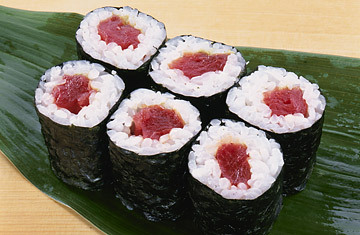 Light tuna is low in mercury, compared with white (albacore) or red (bluefin) tuna. On average white tuna has three times the mercury as light tuna. But on average white tuna has three times the omega-3s as light tuna  and all the evidence that we can see suggests that omega-3s have more benefit than mercury has harm. How significant is the EPA's accepted safety level? The EPA's limit is the acceptable limit of safety, which includes a 10-fold safety factor. That's not a risk level. That's the accepted safety level [0.1 mcg of mercury per kg of body weight per day]. That's 10 times lower than where the EPA determined that risk was occurring  which is a prudent safety limit to be certain that there is no risk. So, for example, if six pieces of tuna sushi a week would put you at the limit, that means you would have to eat 60 pieces to get to the level where the EPA determined risk is occurring. Also, it's important to note that the EPA set its safety limit based on the potential risks to infants and newborns, not based on the effects in adults.